MARQUETTE — Skiers, fans and others are being given the chance to load up on carbs before the big race this weekend. Local restaurants are offering pasta specials on Friday night before the Noquemanon Ski Marathon. Places like the 906 Sports Bar, the Delft Bistro and DIGS Gastropub are serving pasta plates ranging from $10 to $26. DIGS’ creation, the Sicilian, includes Cavatappi pasta, jalapeno, heirloom grape tomatoes, red onions, roasted garlic crema, and a house–made Cudighi. “We try to utilize what we have here in house, and try and be creative, you know try something that’s a little bit different you can get down the street here in Marquette,” siad Sear. 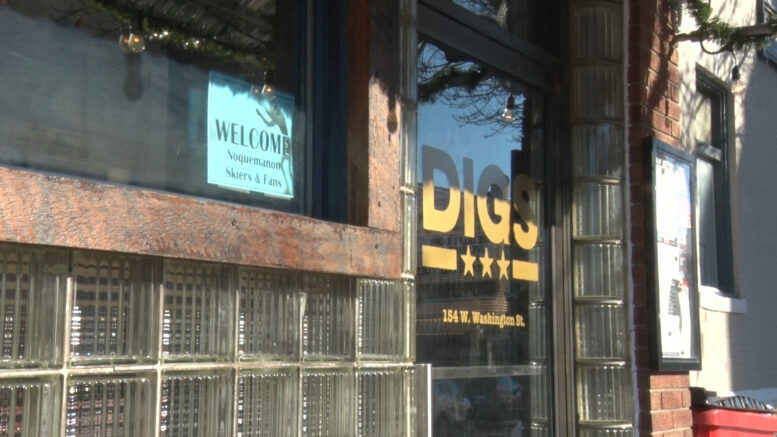 DIGS’ special will be running throughout the weekend and offer other pasta options as well. For all participating restaurants and more information click here.